Today we had an exciting trip to Crescent Beach. 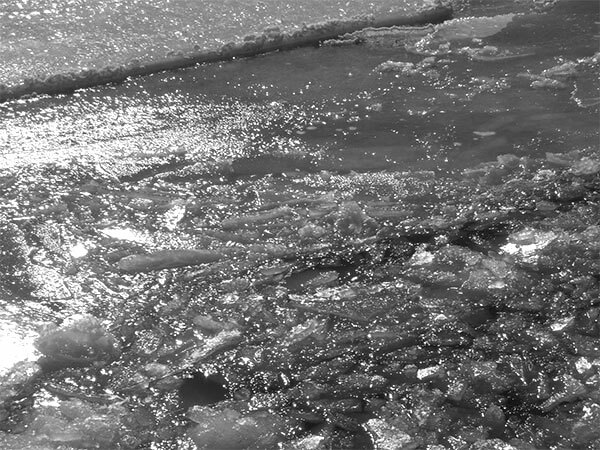 The La Have River was frozen over. But the ferry was managing to keep the crossing clear. 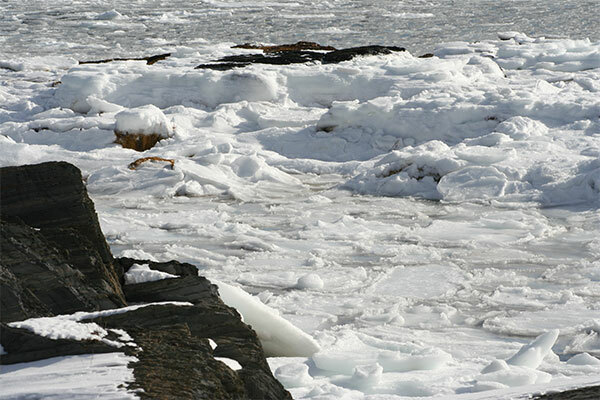 except for the pack ice on each side of the ferry. 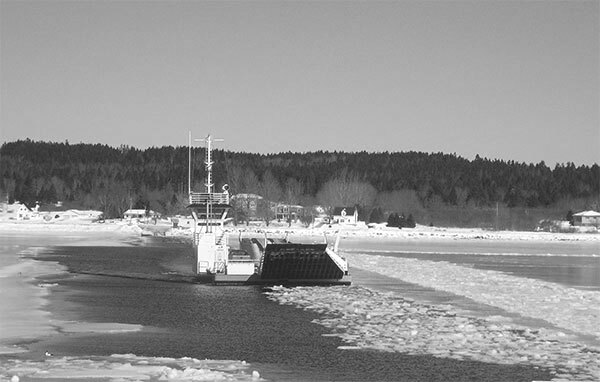 The ferry dragged itself through the blocks of ice. Just getting onto Crescent Beach was quite a feat. 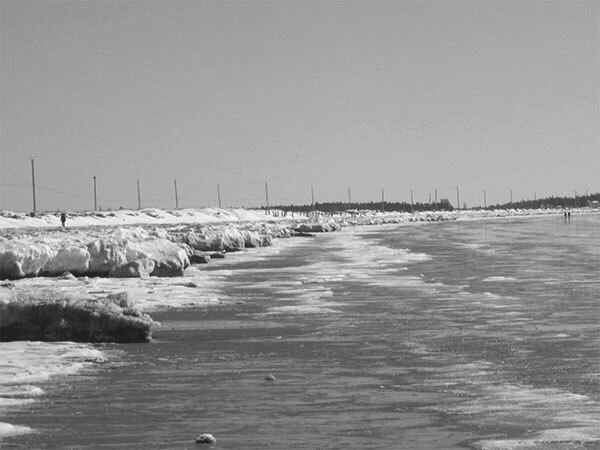 The sea ice and snow made a solid bank. 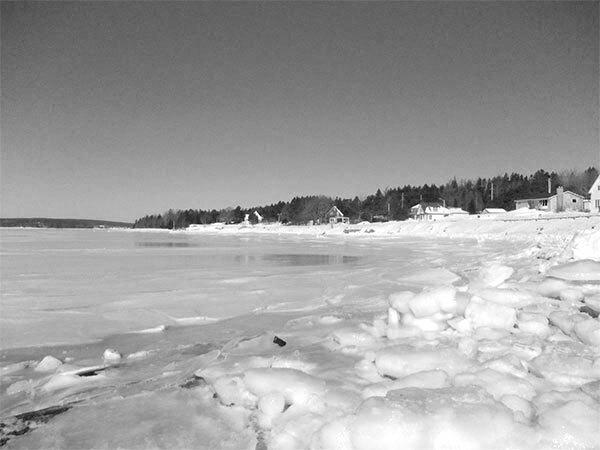 It was good to walk on the sand without the fear of falling on the ice. 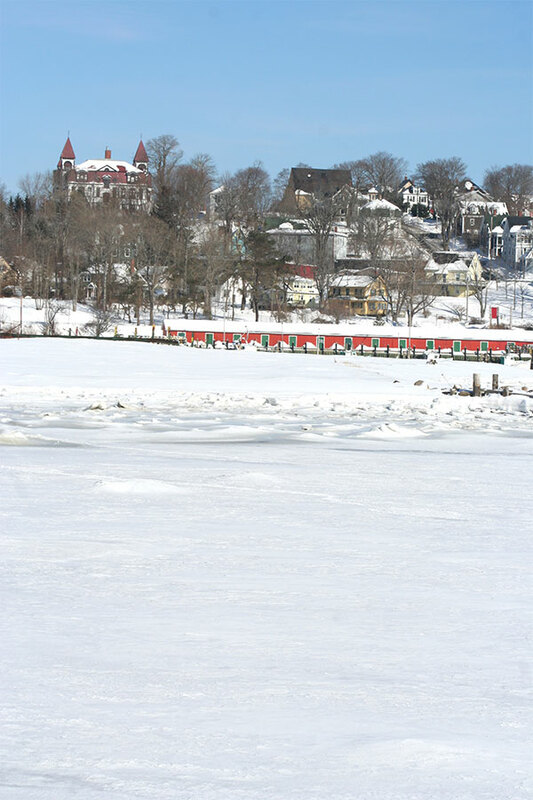 The ferry was still keeping the route open as we drove home along the river. 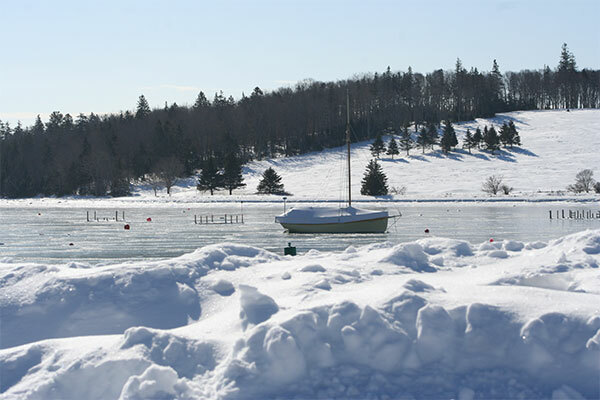 We didn’t have a white Christmas here at Lunenburg, but we’ve seen nothing but the white stuff since the New Year. 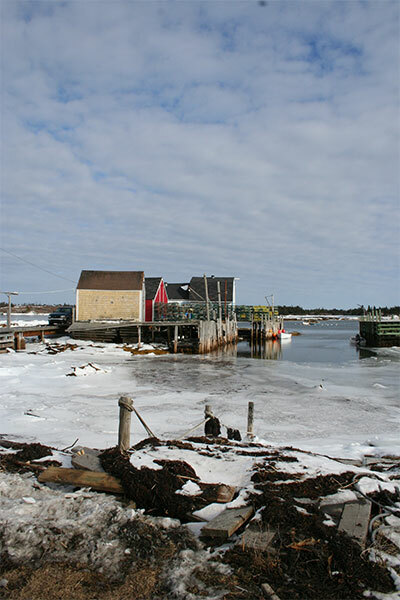 The Back Harbour is usually frozen over in the winter, but it seems even more so this year, with the covering of snow on top of the ice. It’s difficult to see what is land and what is sea, although you can clearly see the ocean in the background. 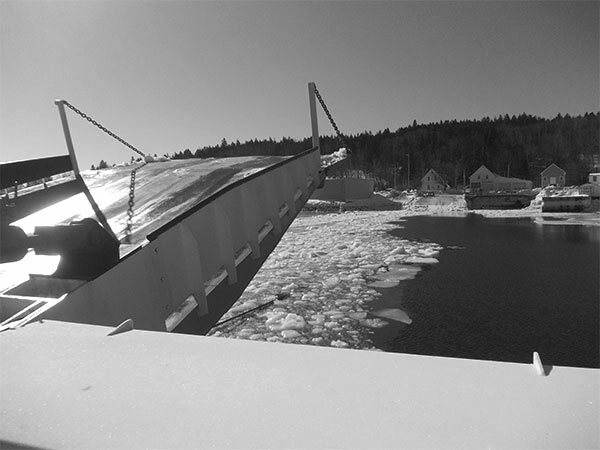 The Polar Prince icebreaker, sits in the ice. 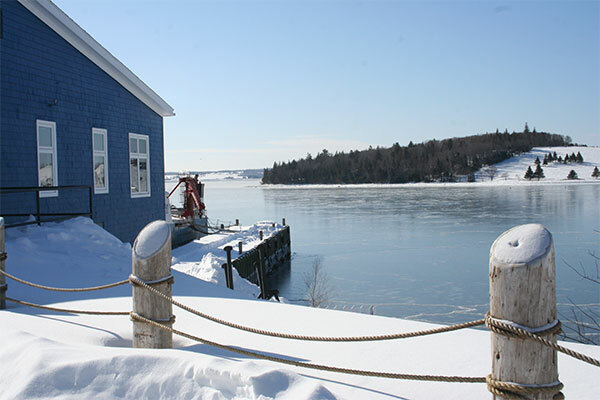 I have never seen the front harbour frozen like this, since we came here in 2007! 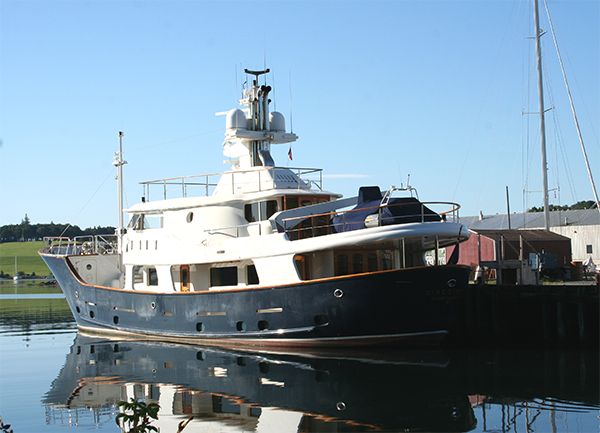 Hopefully the Blue Nose will sail this summer. 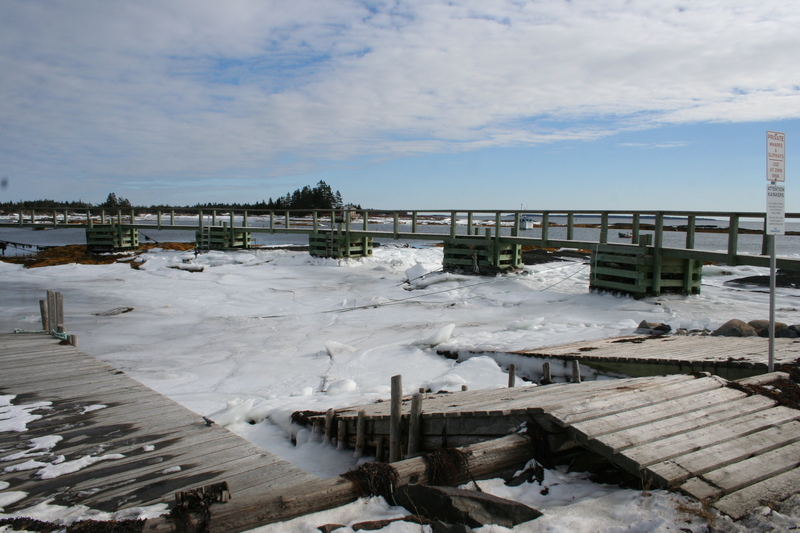 It doesn’t look as if the lobster boats are going to get to their traps any time soon. 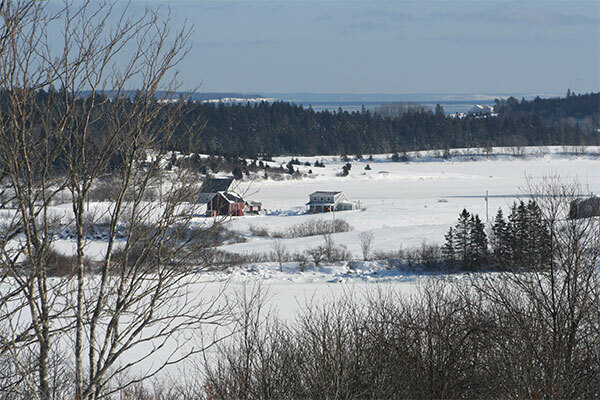 Some views of the town from the golf course road. And a different view of the Blue Nose. 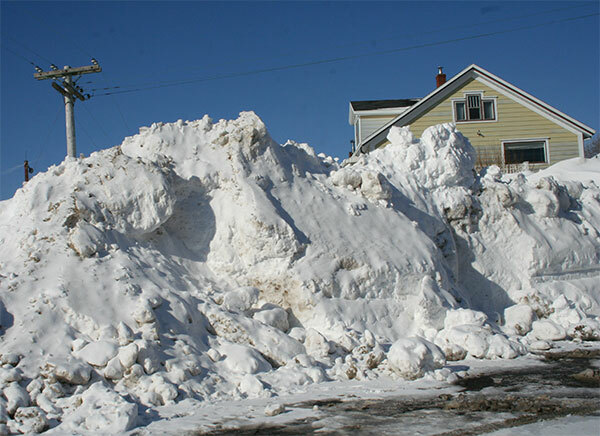 The snow around the town is loaded onto lorries and cleared away, but there are still some big heaps. 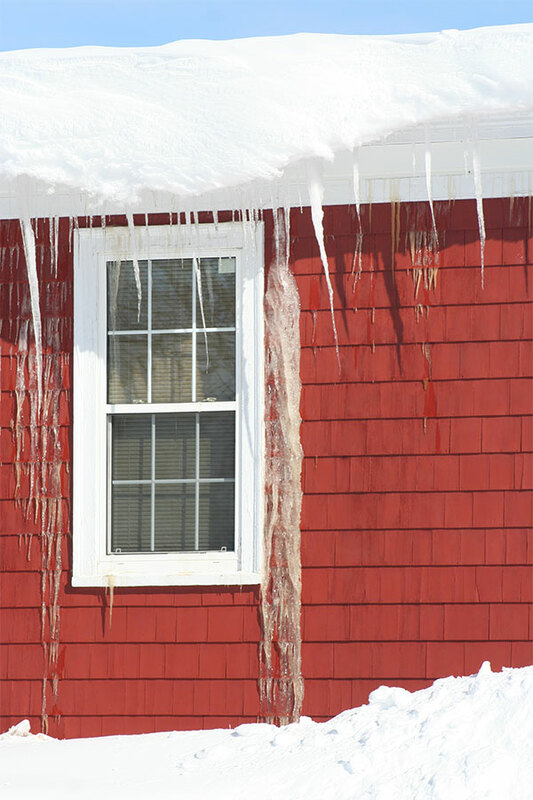 Every roof and window is like this, I just thought this was pretty. 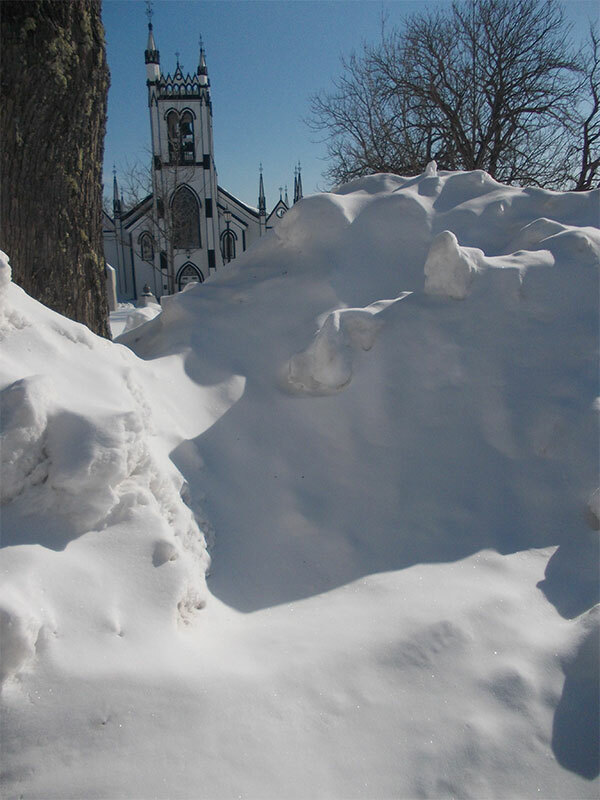 More snow heaped at the roadside at St. John’s Church. 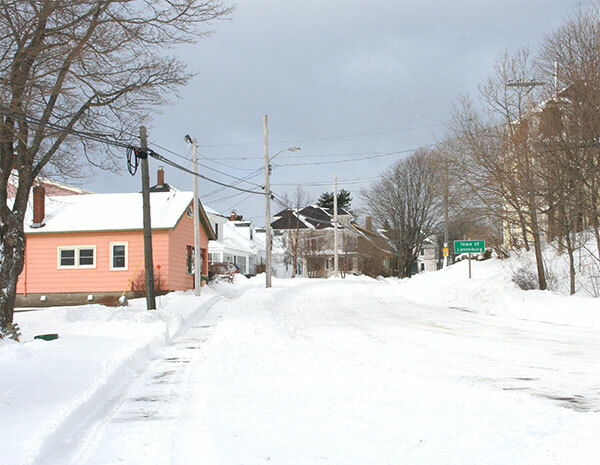 Today is another snowy, stormy day, with several more snow days forecast for this week. 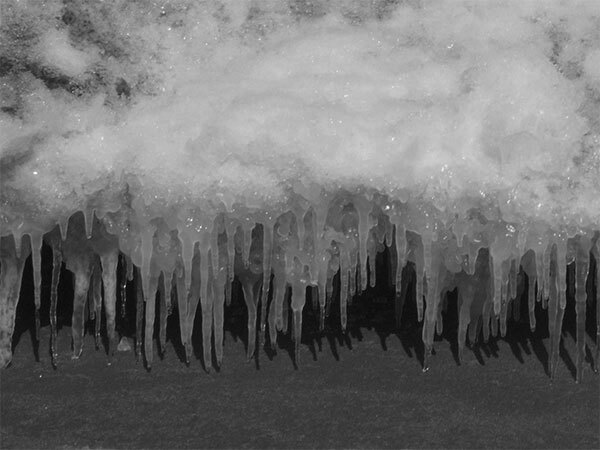 I really love winter and snow, but it’s so cold that there’s not much we can do outside. 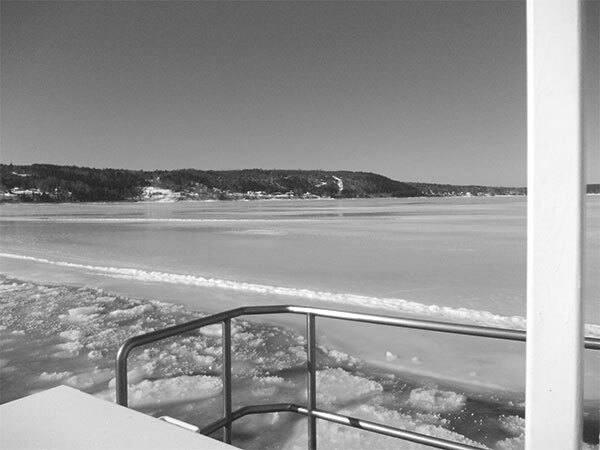 It’s even too cold to go skiing! 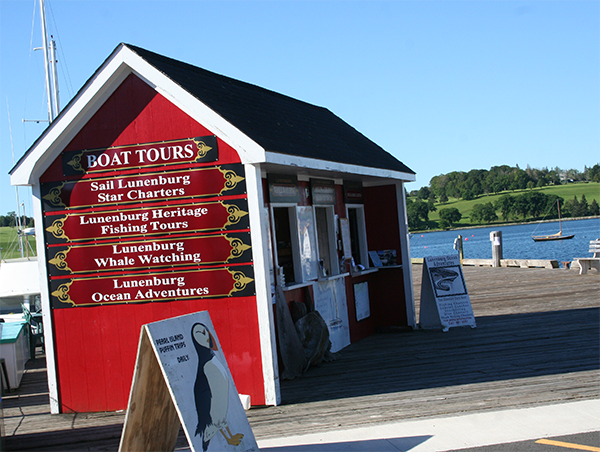 Lunenburg has a population of just over 2,000, but in the summer months it fills up with visitors. 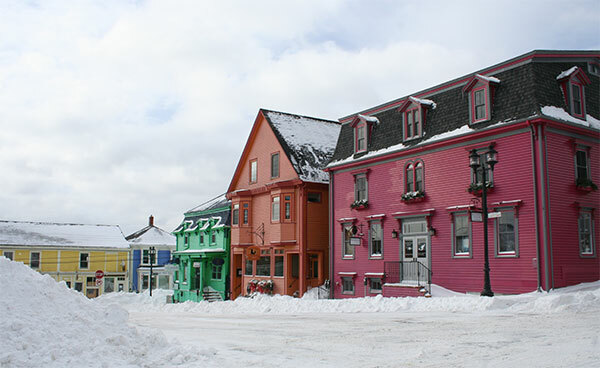 We enjoy a walk around the town in the morning, before the tourists are on the streets. 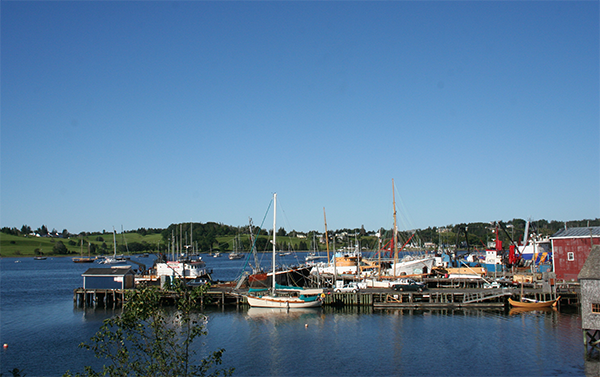 This is Monday morning, looking down to the Railway Wharf. 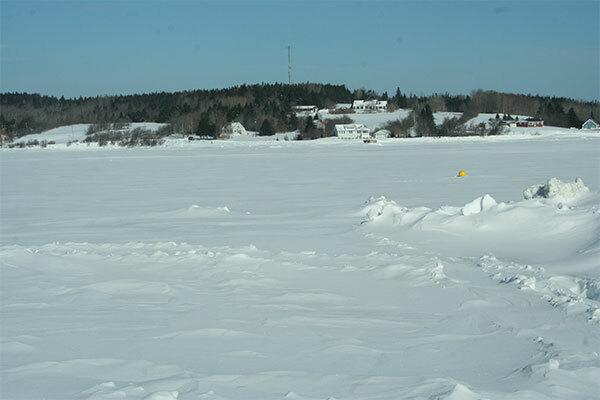 And across to the Bluenose Golf Course. 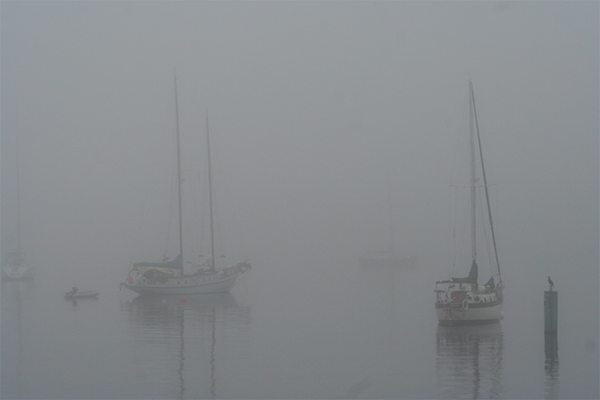 This is the same view on Wednesday morning. 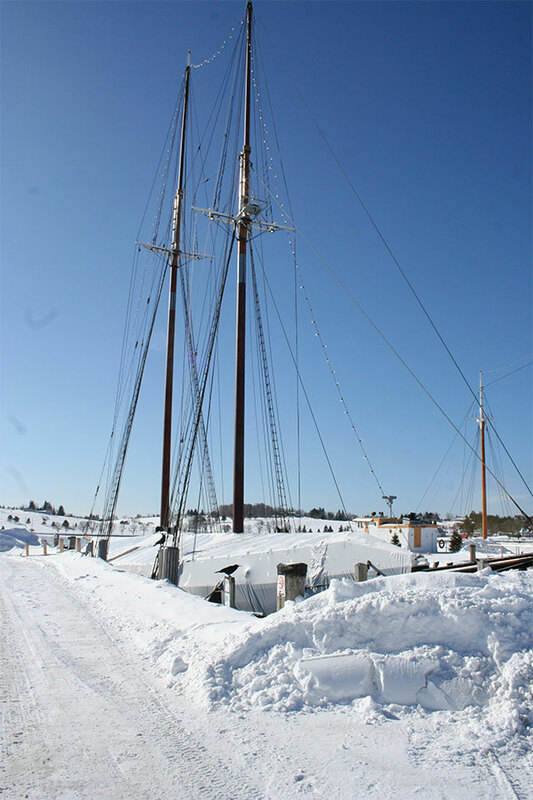 This is the Martha Seabury schooner, which was built here in Lunenburg. 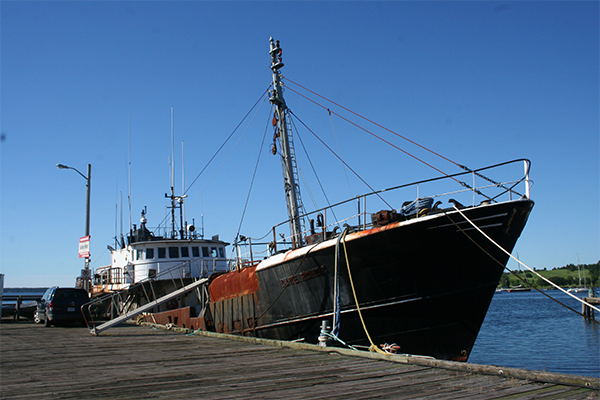 During the summer months, this old fishing boat, The Cape Rouge, sits at the wharf. 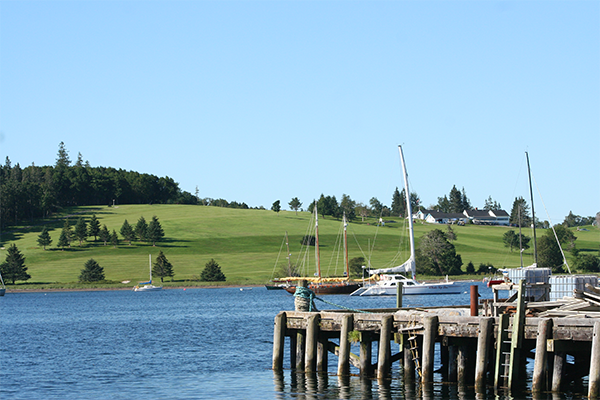 It is used in the filming of the TV series, Haven. The Adams and Knickle building is undergoing renovation work. The booths are open ready for trips on the ocean. 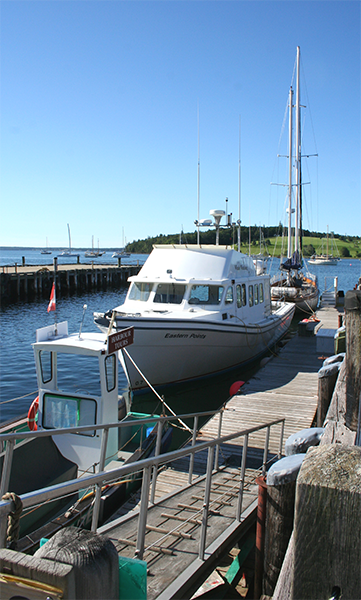 The nearest boat does harbour tours, the Eastern Points goes whale watching and the Eastern Star, sailing trips. 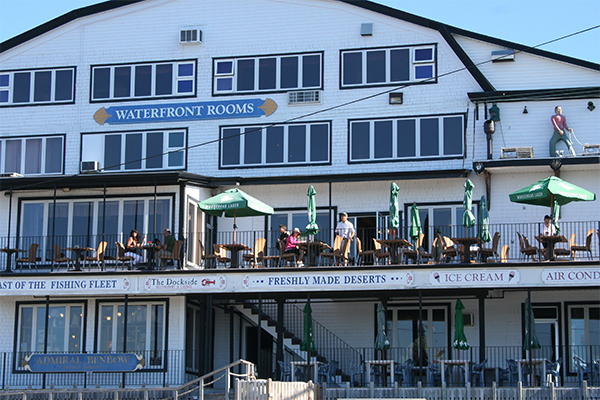 The waterfront restaurants are open for breakfast. 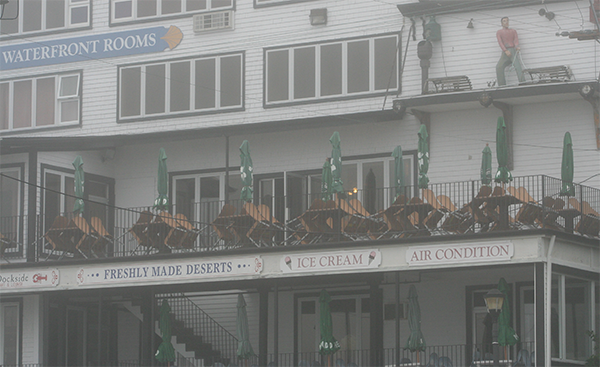 But no one wanted to sit outside on Wednesday. 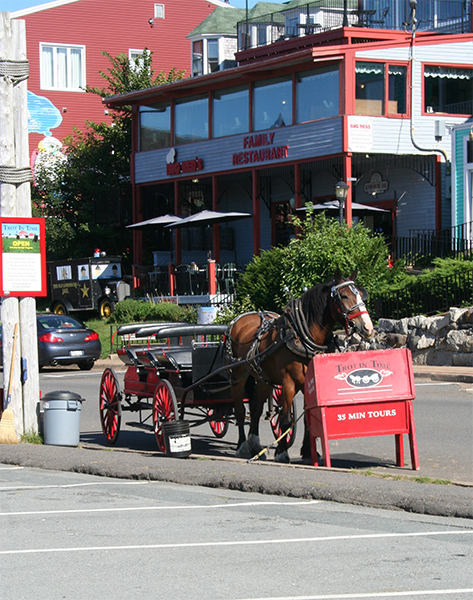 The horses are ready to take tourists on a tour of the old town. 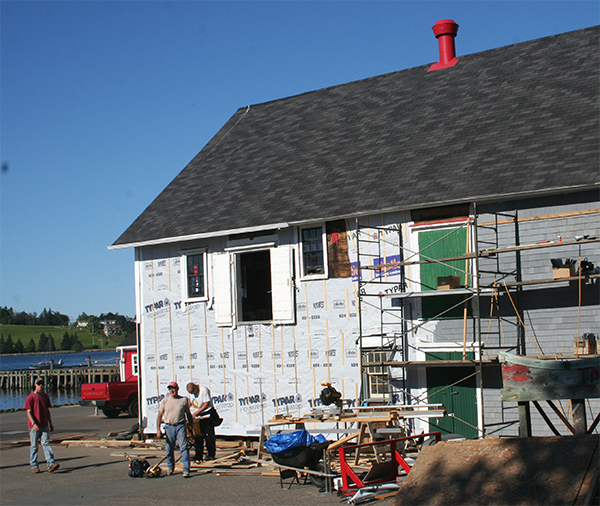 And the Fisheries Museum will open to educate visitors on the history and past life of Lunenburg. There is also a cruise ship in the harbour. 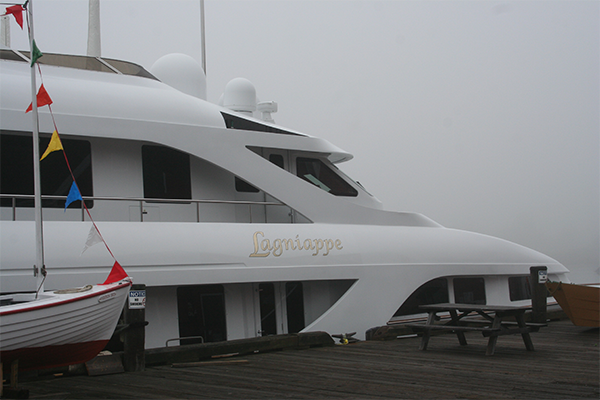 The Lagniappe, registered in the Marshall Islands, which you could charter for $110,000 per week!!! 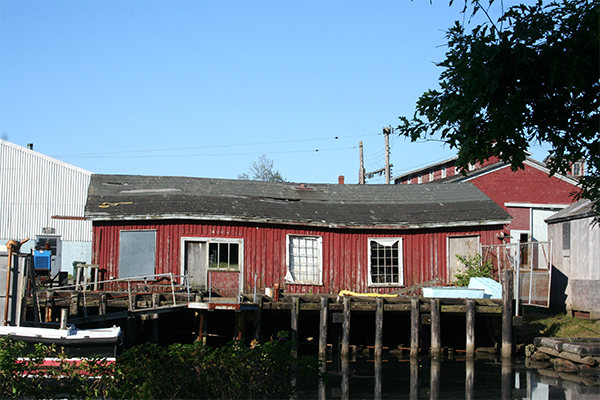 The little shed beside the foundry is crooked and worn. 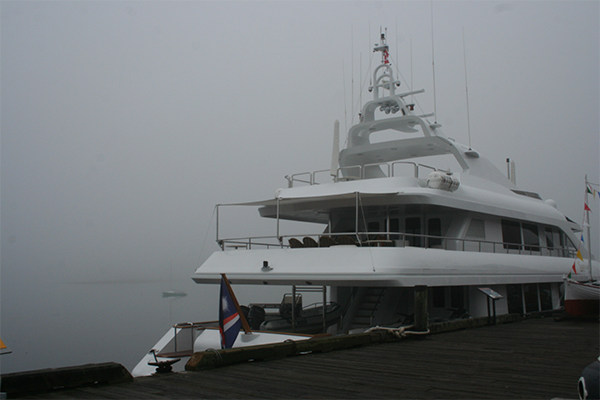 The latest boat at the foundry wharf. 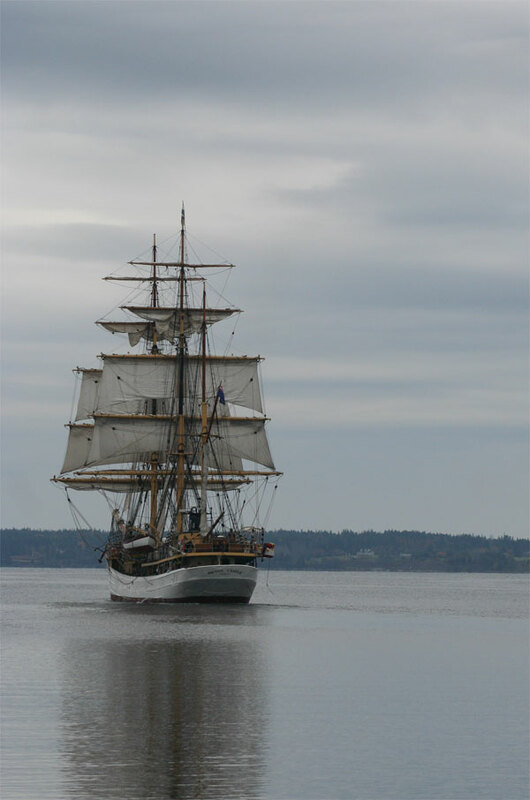 Am I back in Dundee – it is called the Discovery? 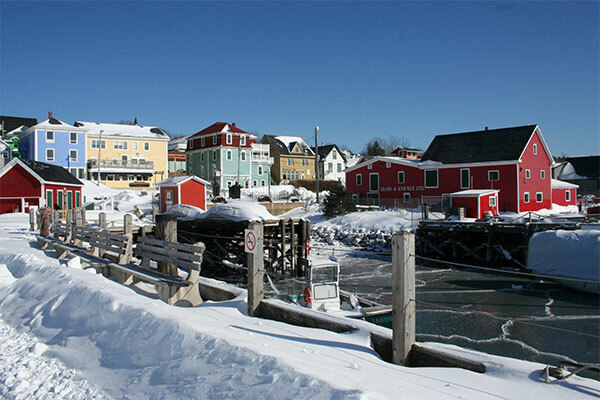 to the colourful town and the Fisheries Museum. But there was no view on Wednesday. 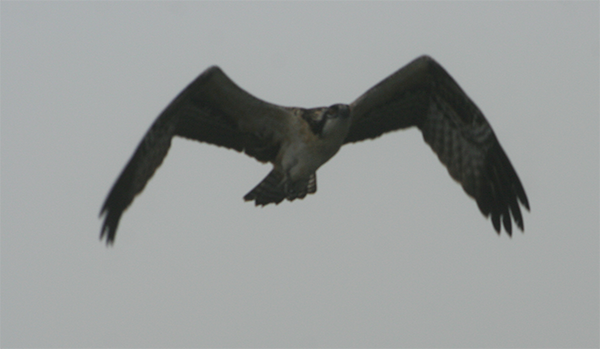 Even this osprey didn’t seem to see us. 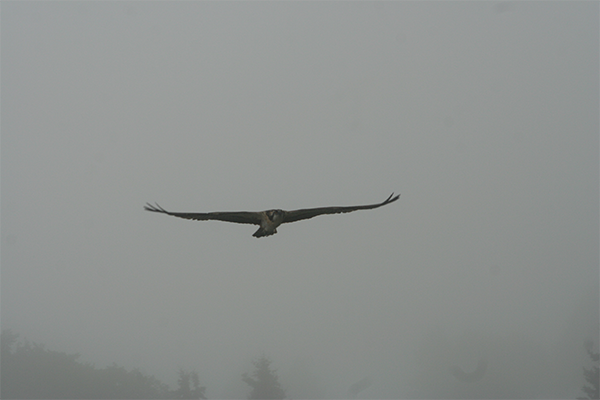 He flew just above our heads. 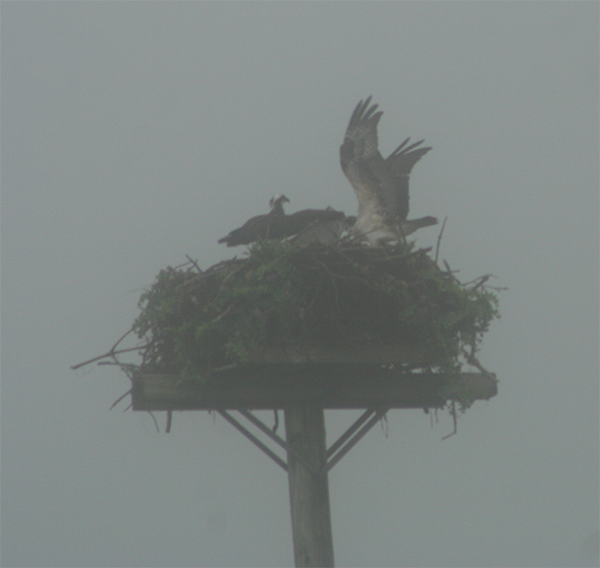 Then back into the nest with the young. 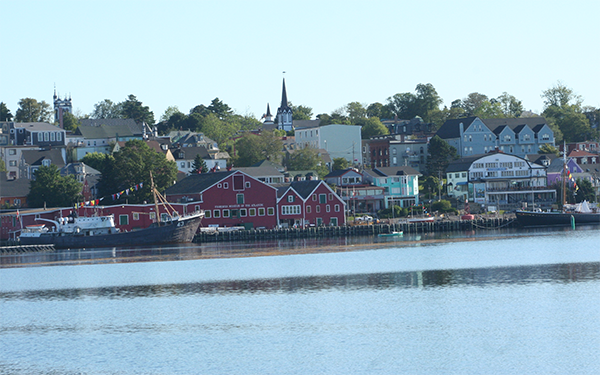 There’s always something to see, walking around Lunenburg. 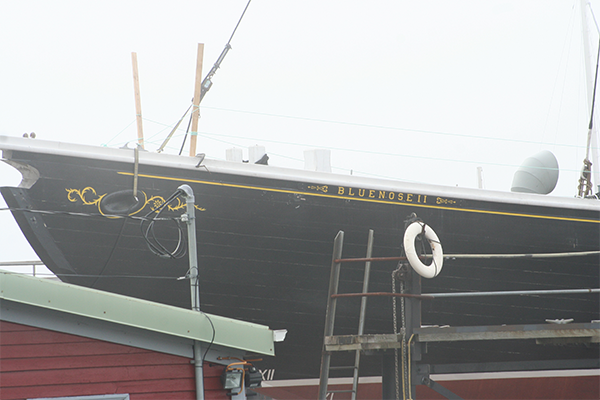 Bluenose II – In the Water Soon? 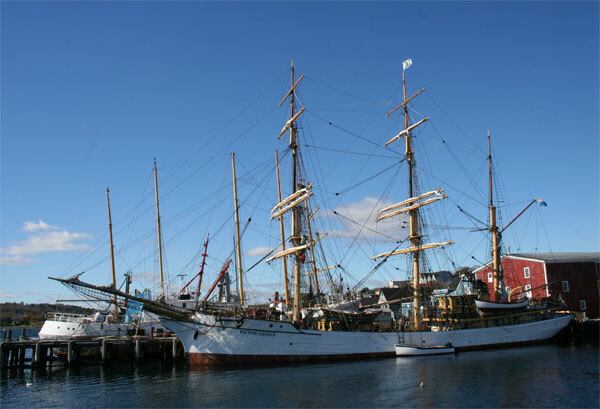 On 3rd February, 2011, I wrote about the restoration of the Bluenose II. 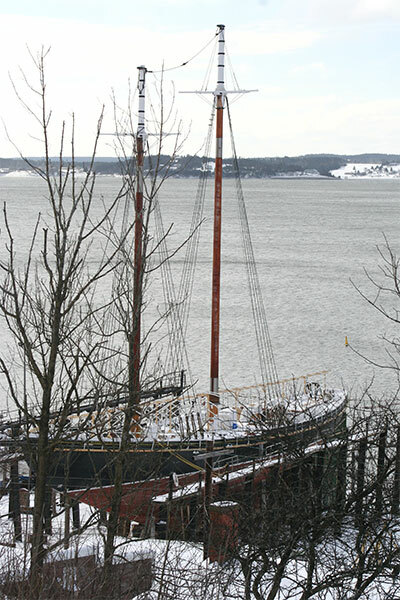 Last year, I took this photo once it was out of its shed and was hopeful that we’d see the Bluenose II sailing out of the bay this summer. 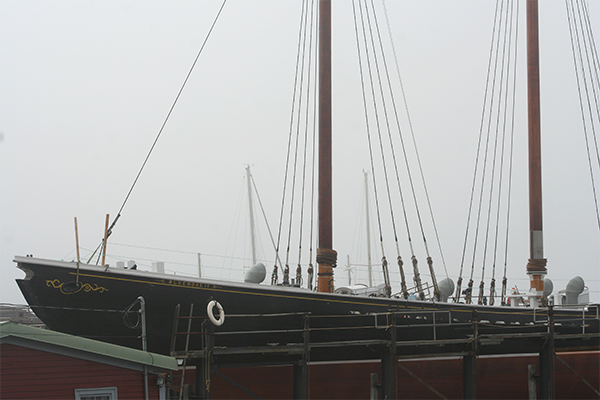 Yesterday, I took these photos in the Lunenburg fog, as the Bluenose still sits in the dry dock! Definite progress has been made. 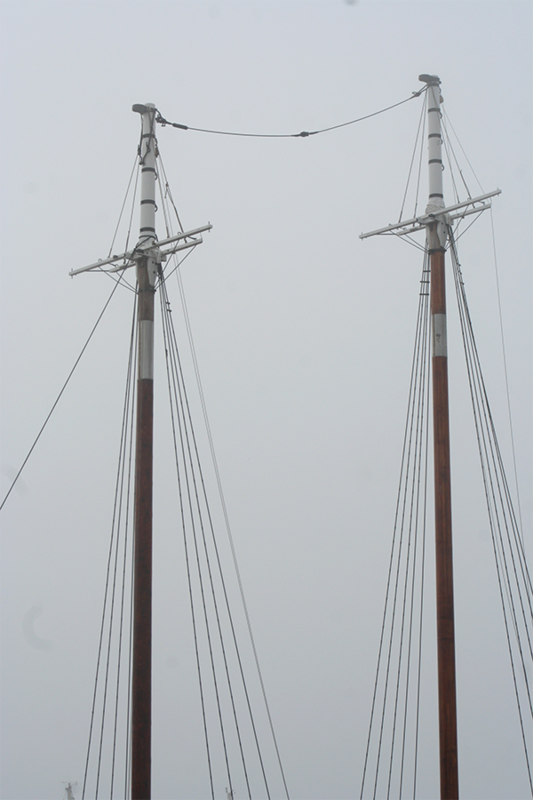 The masts are in place. 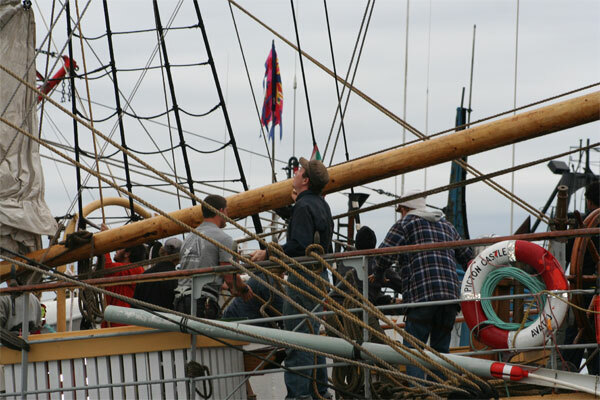 On June 13th, the news was that they were working on the rudder. 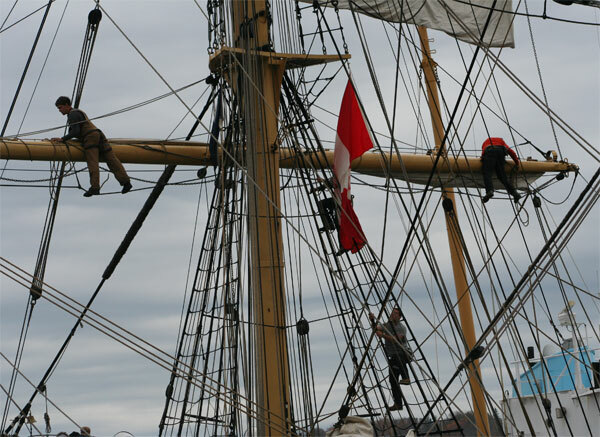 That the refit was well over a year behind schedule and the $16-million pricetag for the work was expected to go up! 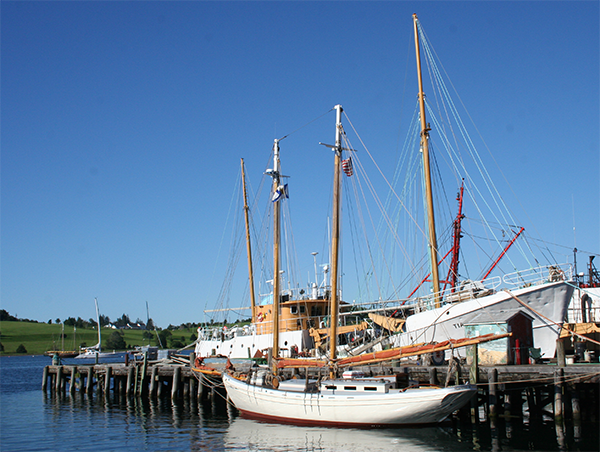 The much-delayed Bluenose II rebuild has suffered another setback. 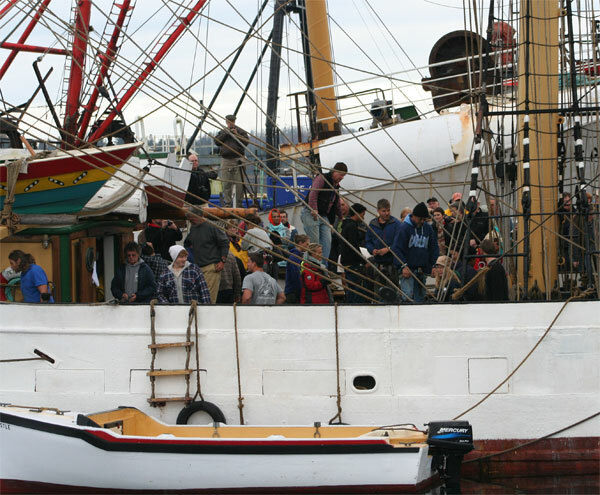 The schooner was to start sea trials this month, but Communities, Culture and Heritage spokesperson Michael Noonan told CBC News that plan has been delayed. Noonan said a machinist suffered a serious injury this weekend and he will need to be replaced. The man’s injury has nothing to do with work, it occurred off-site. 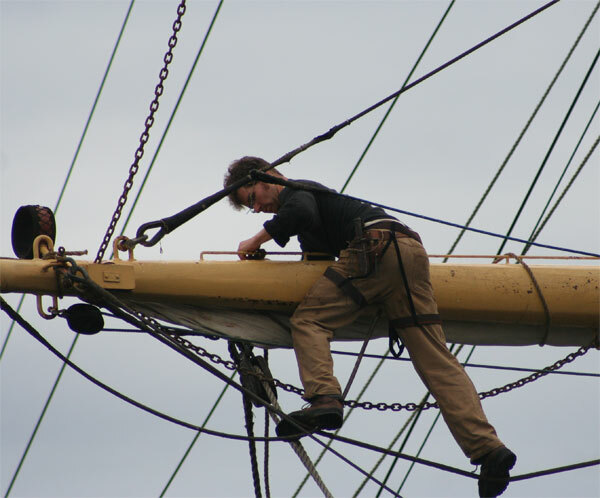 Noonan said the machinist is one of the key members of the rebuild’s staff as builders prepare to install a steel rudder, the last step before the sea trials begin. 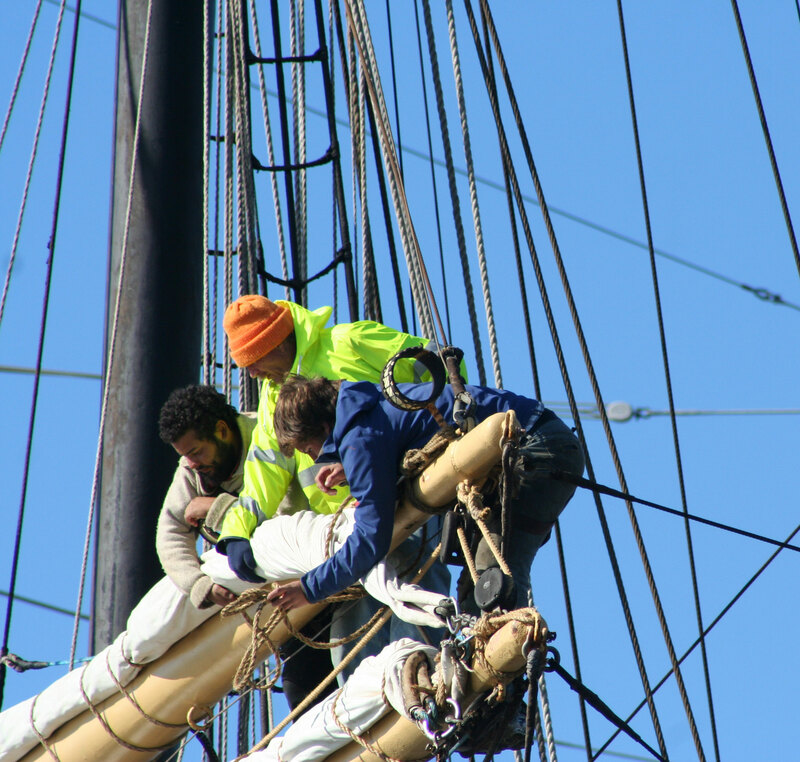 However, the injury means the sea trials won’t start on schedule, but will be delayed by a week or two as the builders try to find a replacement for the injured man. 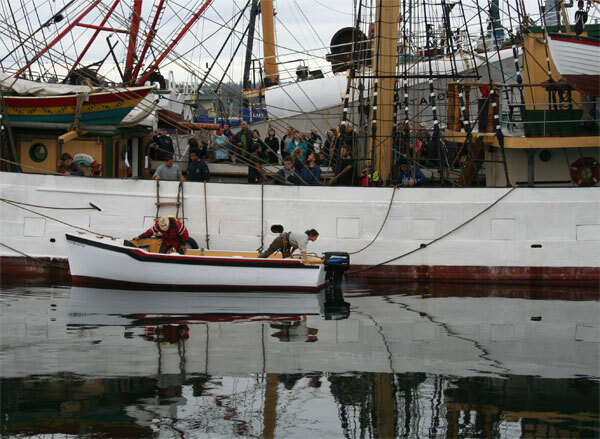 We can only hope that there will be no more delays and that we will soon see the Bluenose II back in the water. 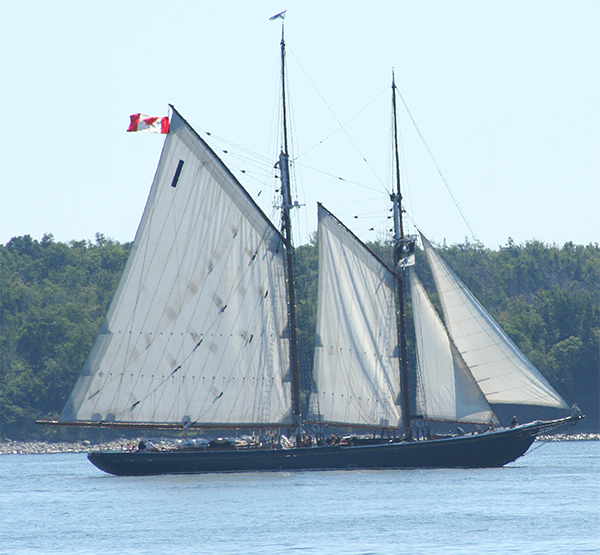 Like this photo of the old Bluenose I took in 2009. Until then you can watch this Petro Canada Commercial from 1985 showing this icon in action. 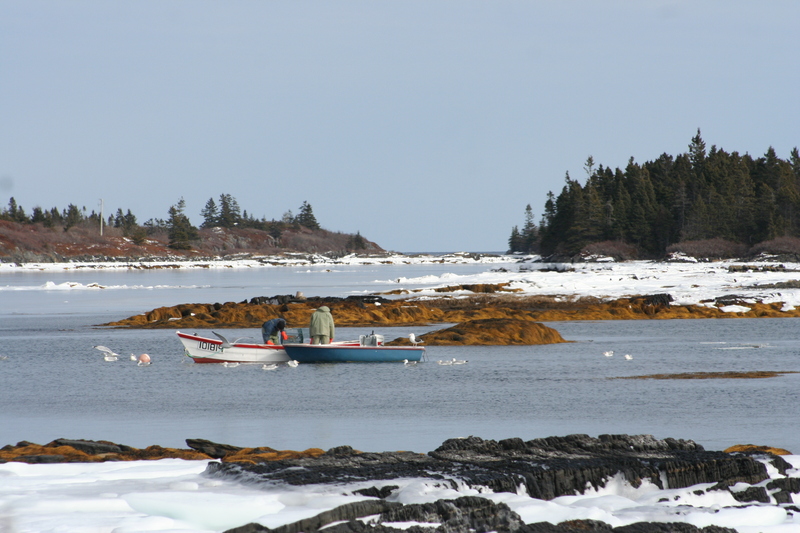 Winter is hanging on here in Nova Scotia. 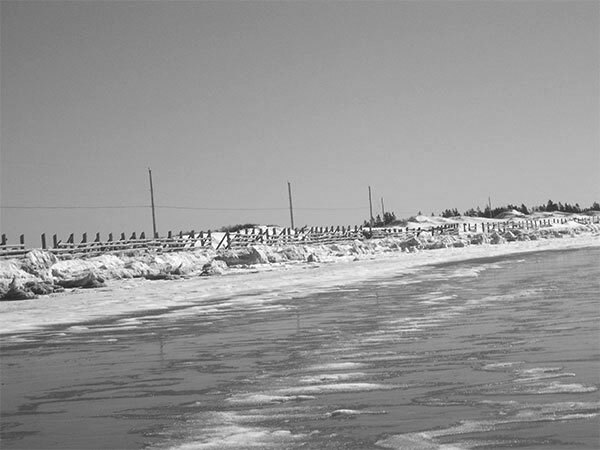 We get a warm-ish day, of + 8 degrees, followed by a day of snow and freezing conditions. 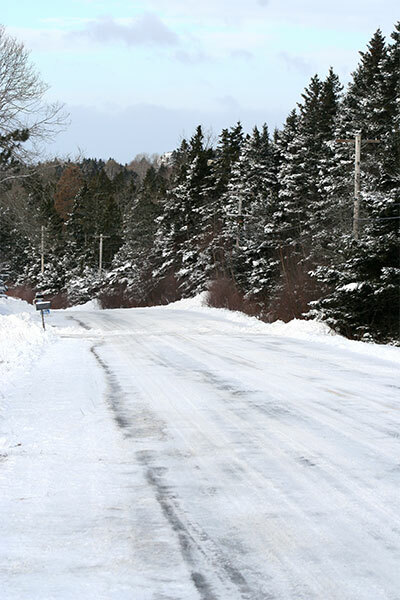 This week we will have a high of 0 and a low of – 12. I usually take my photos of Blue Rocks in the summer, but thought I’d show you how it looks just now. 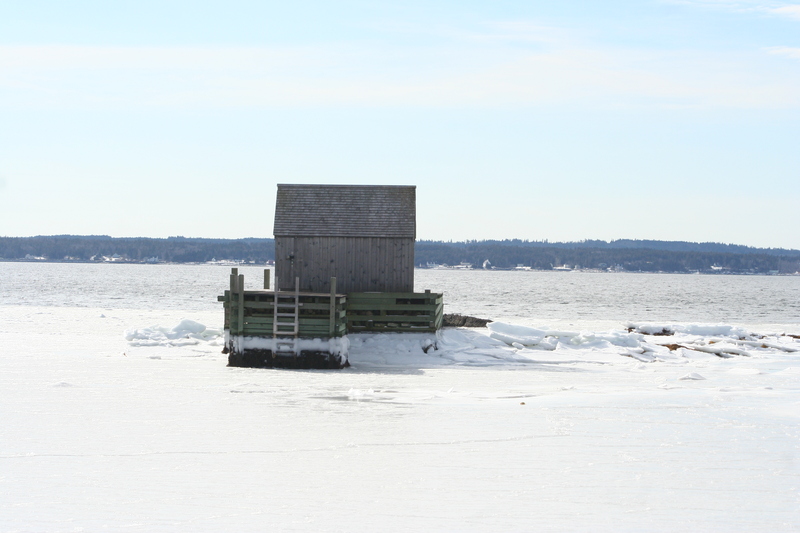 The little fish houses sit amongst the blocks of ice. And the sea moves like a bowl of thick porrage. 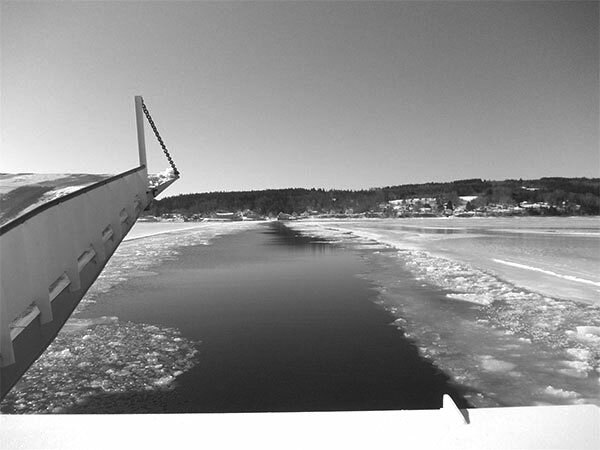 This is where we launch our kayak. 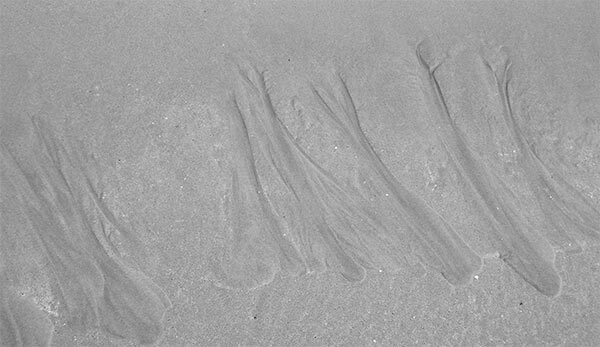 From the beach or down the ramps. 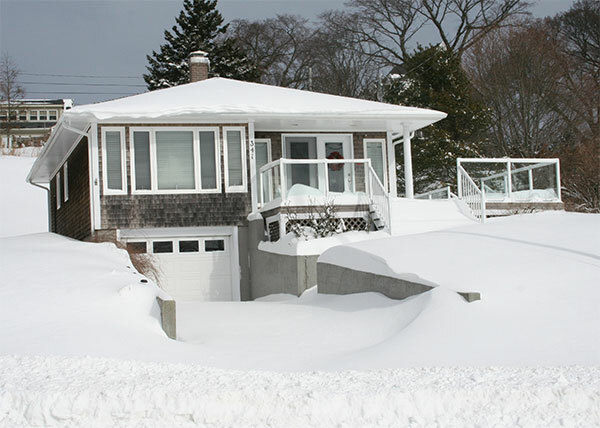 I think we’re ready for a melt and some warmer weather. I’m looking forward to another hot, hot summer, like last year. 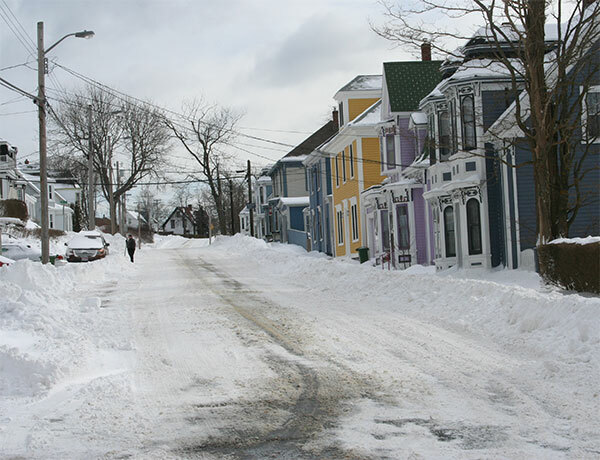 This week-end we were hit by the snowstorm Nemo. 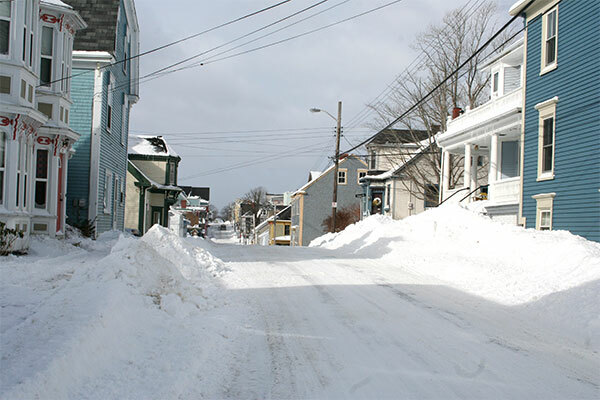 The forecasters warned of 50cms of snow, starting on Friday night. 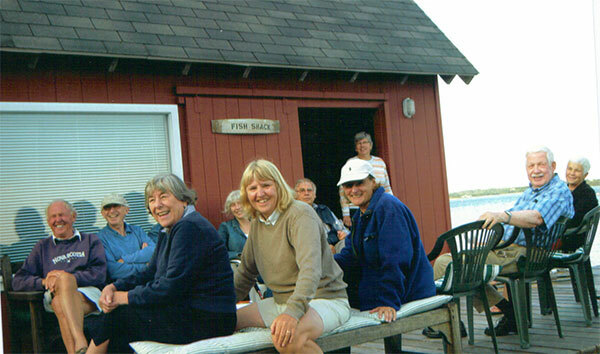 Yesterday, we received this picture from our friends, Susan and Roger, at Corkums Island. We go to this fish shack every Friday, during the summer, for TGIF (Thank God It’sFriday) for drinks and a game of boules. Here we are on one of the Friday nights this past summer. 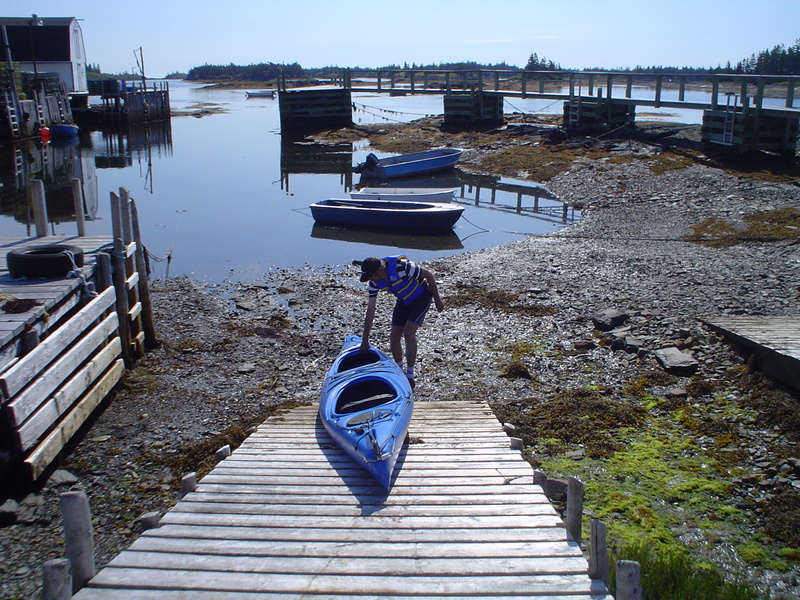 All the dock we are sitting on was washed away, but luckily, when the tide went down, Roger managed to get his kayaks and gear from the shed. 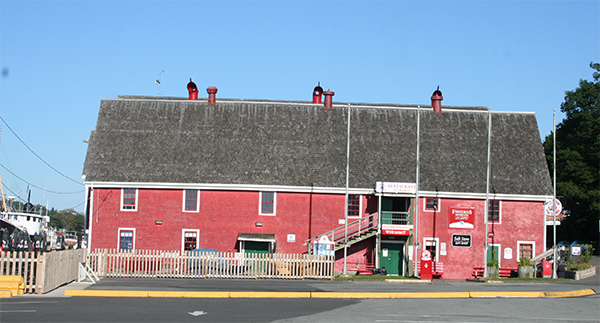 It has moved from its location and the floor is very badly damaged, but hopefully it can be moved and rebuilt. 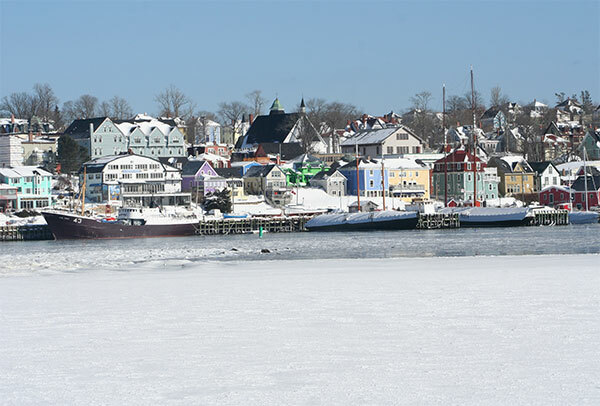 Today, after a wild stormy night, we walked into Lunenburg. 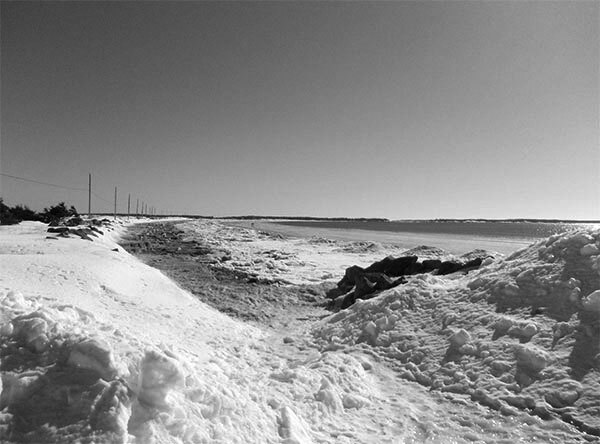 The road past our house had been ploughed, and wasn’t too bad. 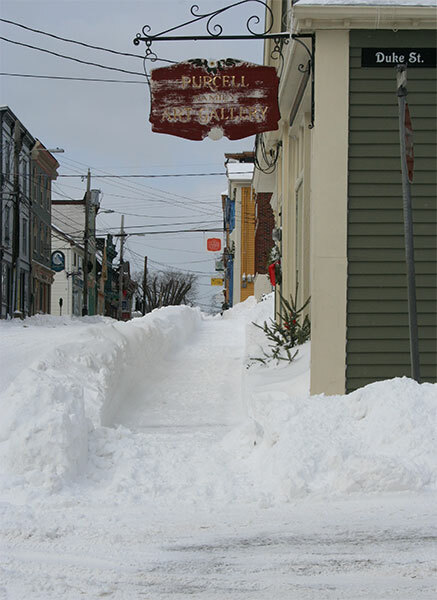 The footpaths in town had been cleared, which is normally the case. 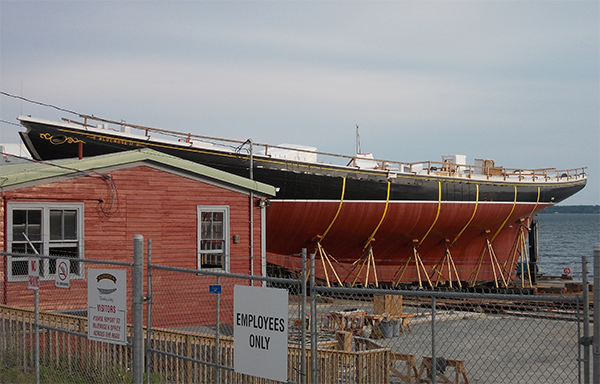 We passed the dry dock where the Bluenose II is sitting, waiting for the installation of her rudder. 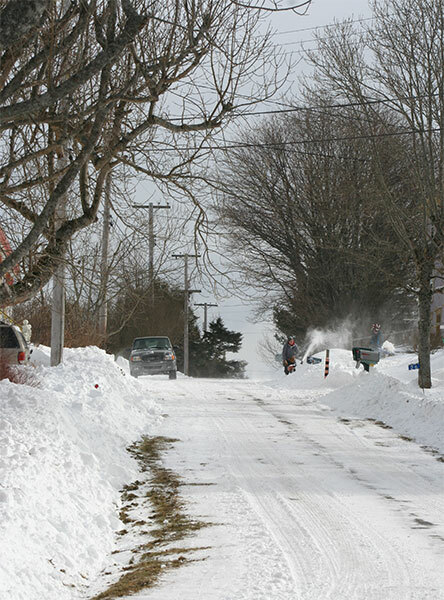 In town, the ploughs had left heaps of snow at the side of the roads. 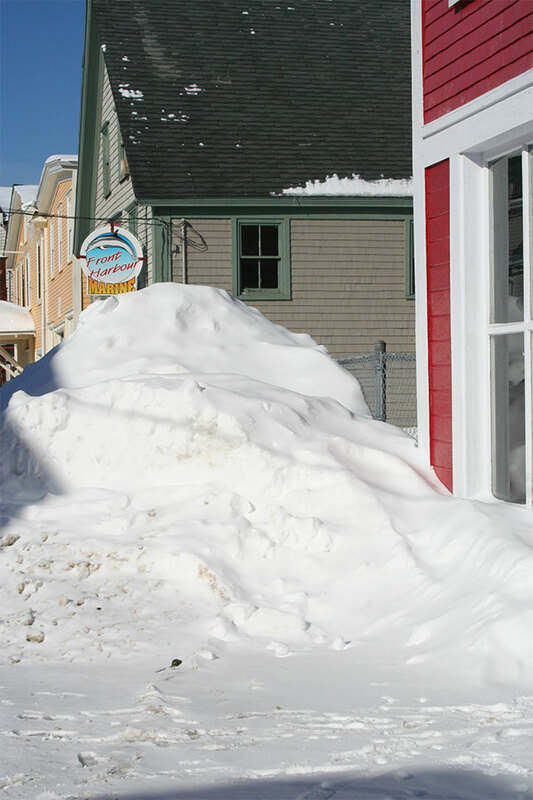 Nothing was open – not even a coffee shop. 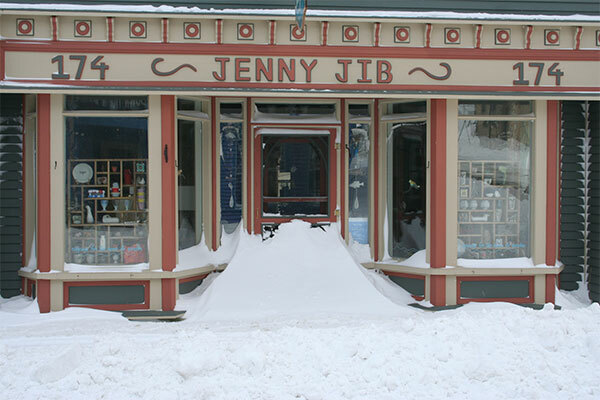 Jenny Jib has some snow to clear tomorrow. Some people hadn’t attempted to clear their paths. or, as is more common, their toys. 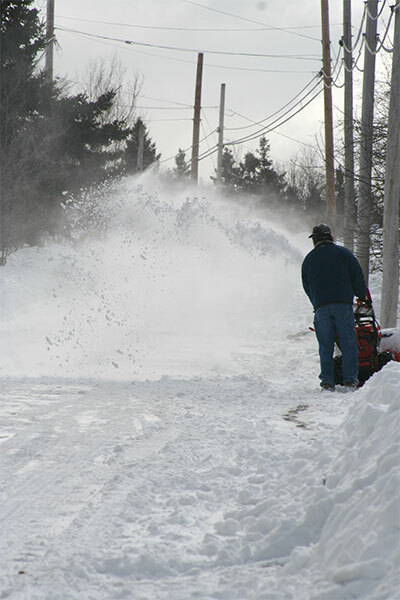 Snow blowers are very common. 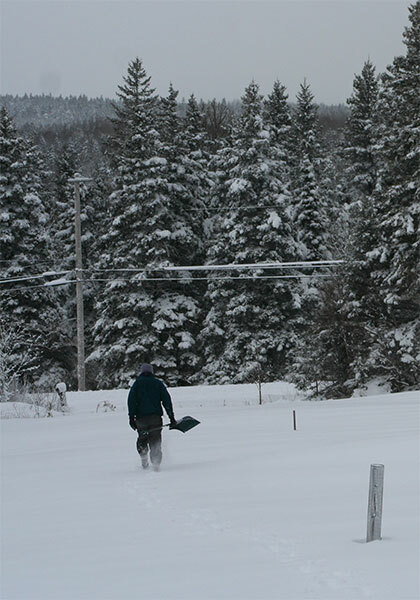 But Jeff prefers to keep fit with his shovel, so he has some work to do on our 200 yd driveway. 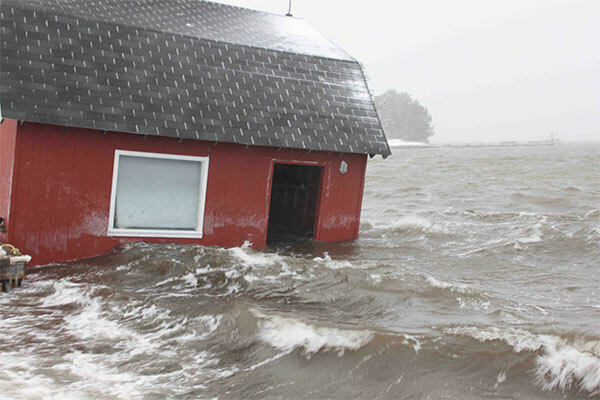 The prediction for the storm was much worse than the storm itself. We had blizzards every winter at Glenshee and Glen Isla, far worse than this storm which kept everyone indoors here. I must look out some Glenshee photos and put them on here. 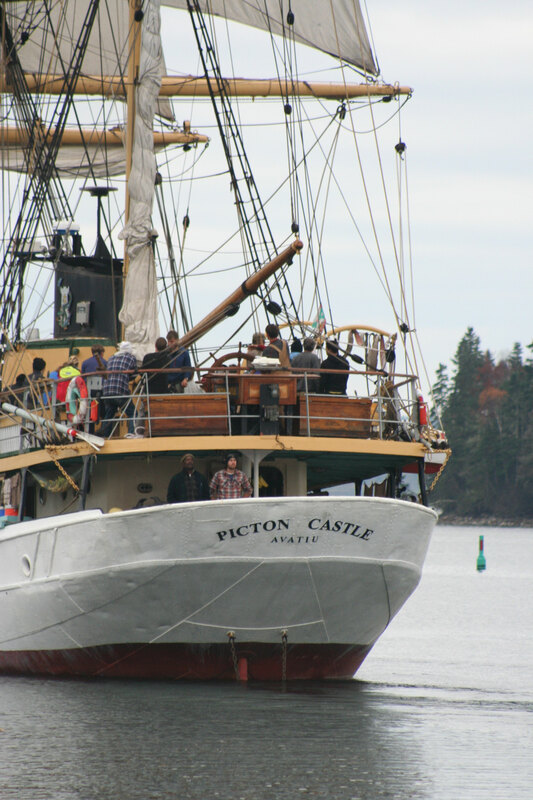 The Picton Castle has been back home in Lunenburg for the summer, preparing for her next voyage to the South Pacific. 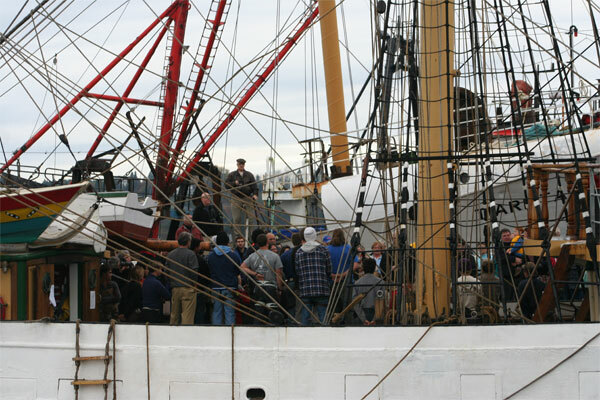 She should have left port 2 weeks ago, but Captain Moreland decided to delay the departure due to the approaching Hurricane Sandy. 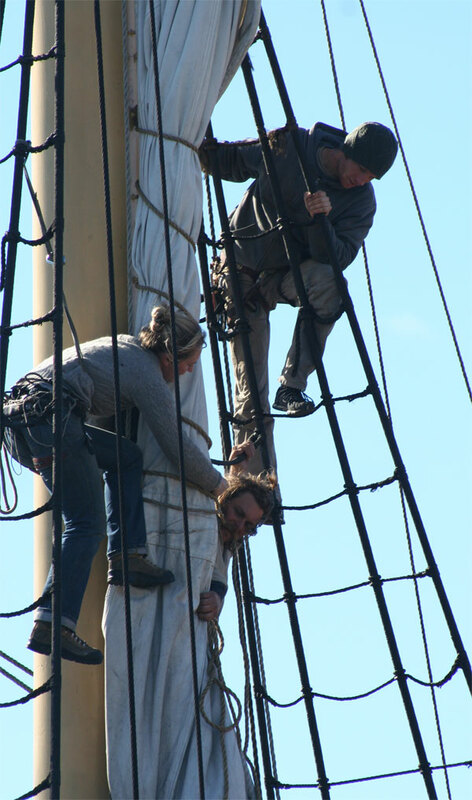 The crew were not allowed to lie around. There was plenty to learn. putting all their training into action. 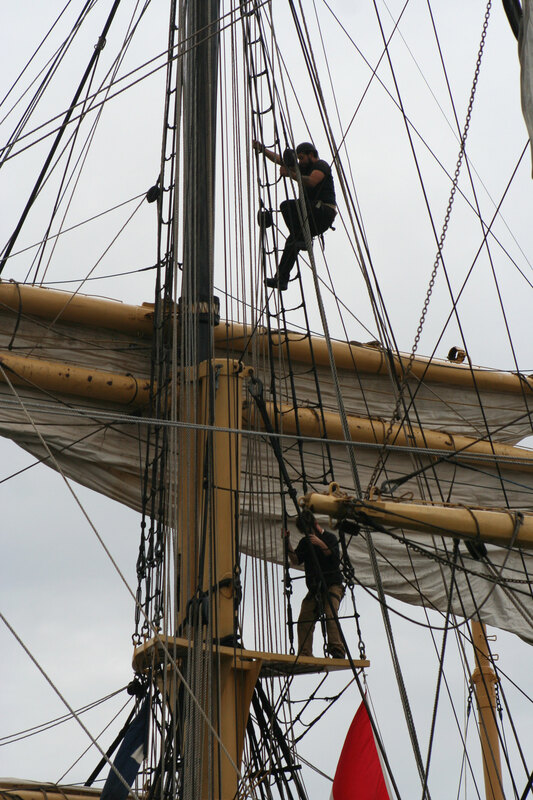 I’m sure this is easier done from the safety of the harbour, rather than at sea. 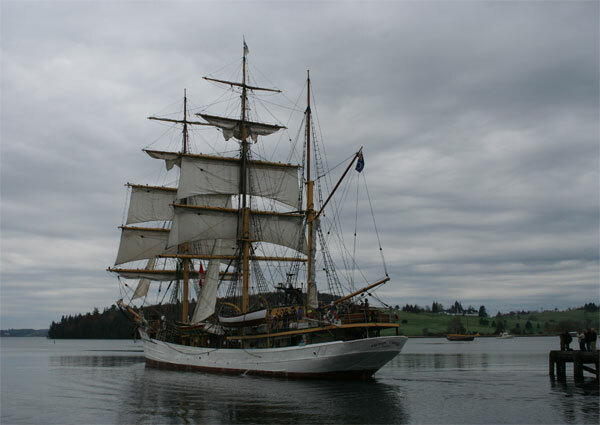 I only found out at the harbourside that Captain Moreland’s and Tammy Sharp’s baby son, Dawson, would be travelling on this trip. It looks like they might be bringing their son up in the Cook Islands, at least for the next three years. 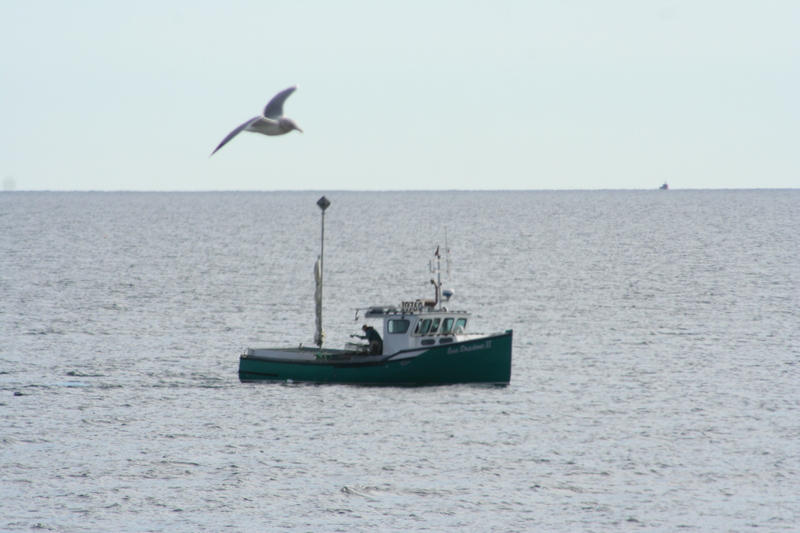 The safety boat was moved away for the departure. 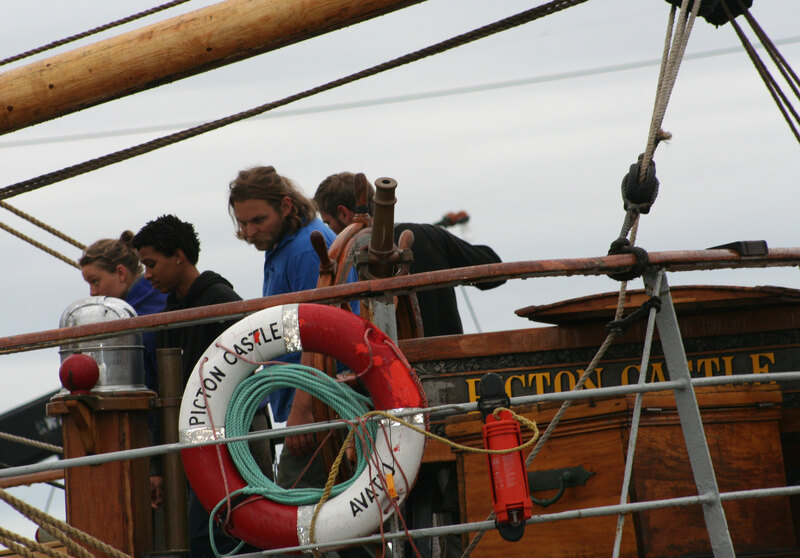 Horns hooted, people cheered and applauded as the Picton Castle moved off. 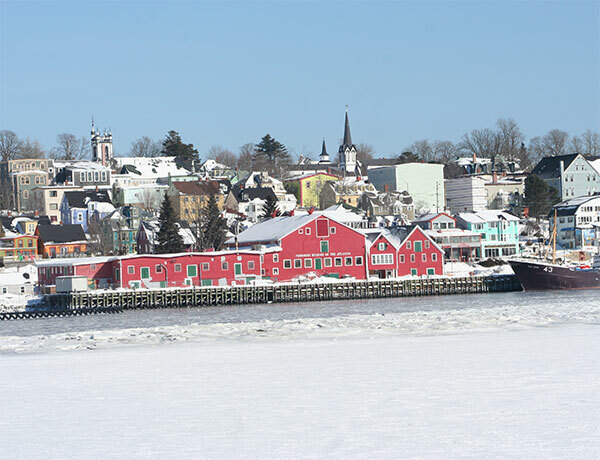 Some had a last look at Lunenburg. 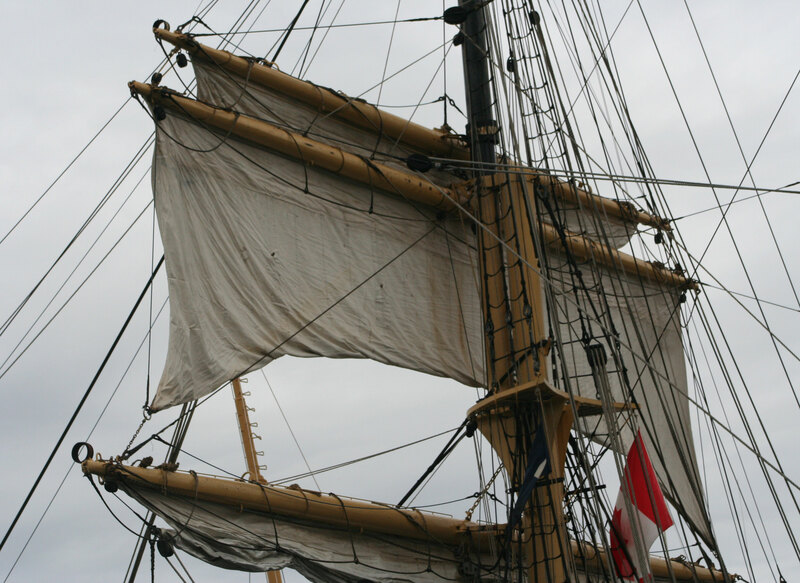 The next stop will be Grenada, then through the Panama Canal to the Galapagos Islands, Pitcairn Island, French Polynesia, and then to the Cook Islands. She is off now on another wonderful adventure. 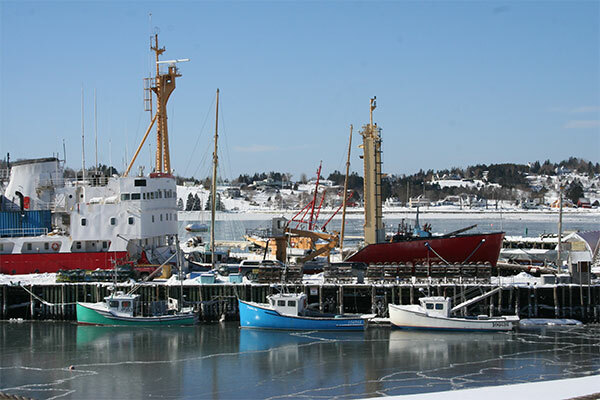 The people of Lunenburg will miss her and all of the lively, friendly, crew.